“Overall, consistent and coherent evidence from physiologic understandings and human and animal studies finds that that the innate, hormonal physiology of mothers and babies—when promoted, supported, and protected—has significant benefits for both in childbearing, and likely into the future, by optimizing labor and birth, newborn transitions, breastfeeding, maternal adaptations, and maternal-infant attachment. Buckley, Sarah J (2015). 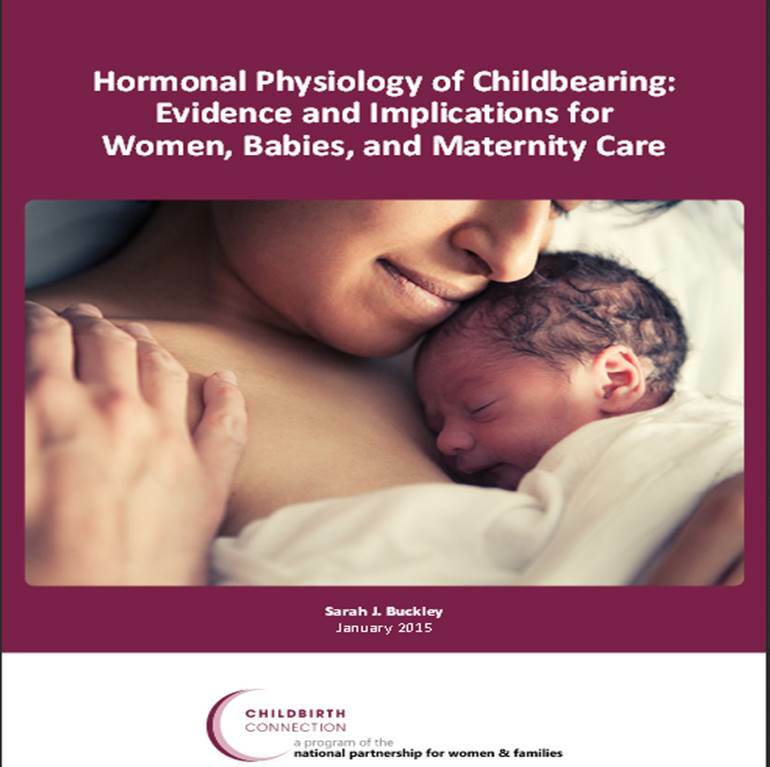 Hormonal Physiology of Childbearing: Evidence and Implications for Women, Babies, and Maternity Care. Washington DC: Childbirth Connection Programs, National Partnership for Women & Families. You can download all sorted of goodies from their website, including the full report, an executive summary and a series of factsheets.